The lifeless body of thirty six year old Suyapa Hernandez Alvarado was discovered in an apartment complex on the beachside near the San Pedro airstrip. Hernandez, a Honduran national, was lying on her back on a sofa and covered by a white sheet. 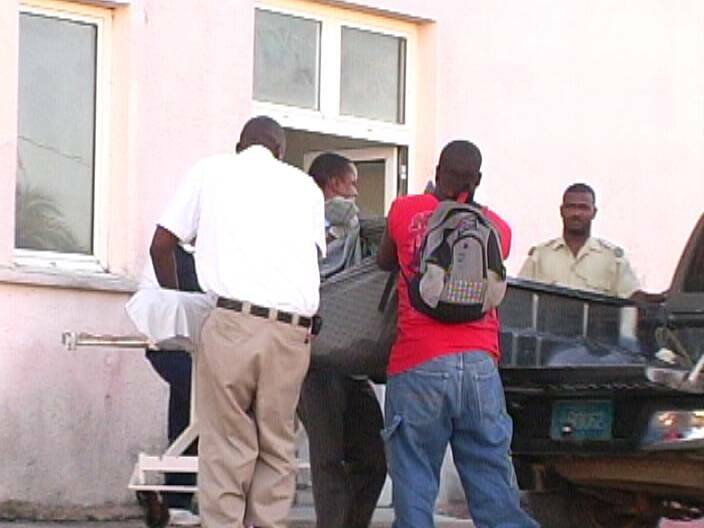 A medical officer certified that she died sometime around five on Tuesday evening. No signs of violence were observed on the body but a post mortem is scheduled to be performed. In Belize City, a police pick-up truck pulled up at the morgue at the rear of the Karl Heusner Memorial Hospital this evening. The police officers took out a body that was wrapped up out of the truck and placed it onto a gurney to be processed. The body has been identified as Helen Robinson, a resident of Hattieville Village. Although the details have not been revealed, foul play has been ruled out. It is believed that Robinson died from drowning. This is very unfortunate. I hope Helen Robinson is not a member of the Robinson family that lost five children when their boat overturned many years ago on the flooded Sibun River. My condolence to the families of both women.